AirTrans that allows transferring iPhone data via Wi-Fi between your iOS devices and PC and a more user-friendly interface and supports 14 languages. 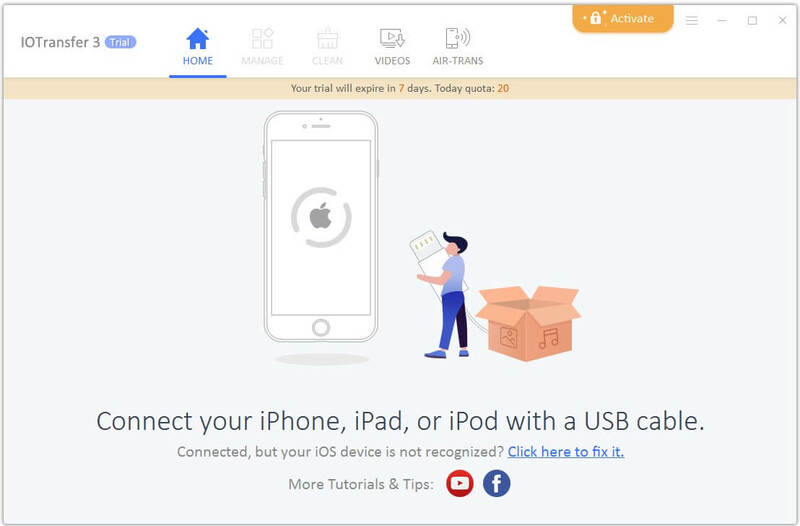 It works with computers based on Windows 7/8/9/10 and all iOS devices like iPhone, iPad, and iPod. IOTransfer 3 supports Apple devices running IOS 8.3 and above. After downloading the software, you can install it as you do with other Windows-based Apps. Then, launch it, connect your iOS devices to PC via a USB cable and wait until it’s recognized. If the notification “Trust This Computer” pops up, click on “Trust” to continue. 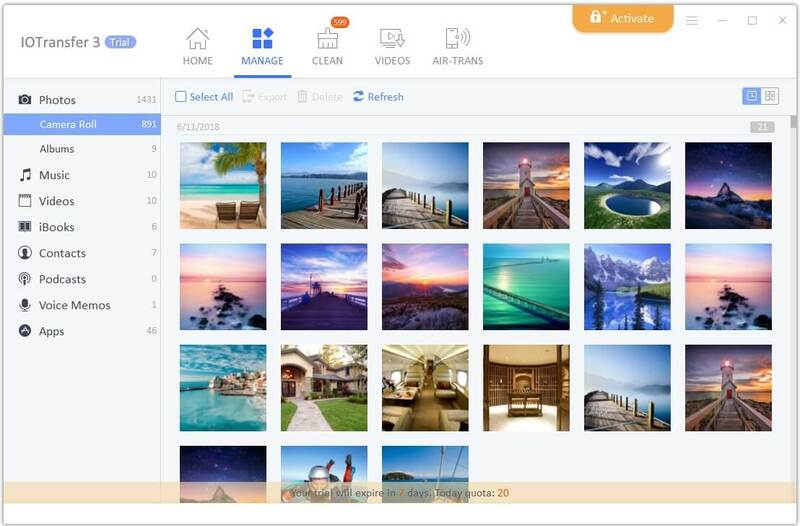 Photo and Video manager – IOTransfer 3 is one of the best apps that allow you to transfer files and folders, photos, videos, contacts and other data between your iPhone/iPad and pc with ease. It allows transferring different files simultaneously. 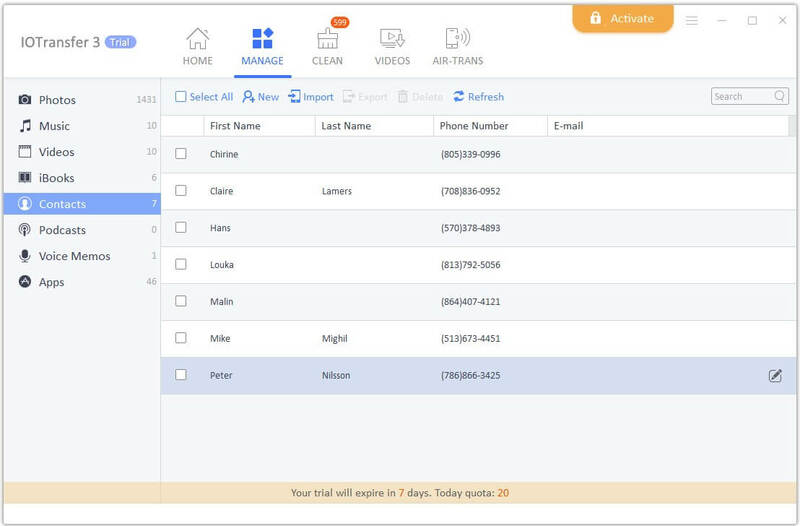 You can delete your files in batch as well. 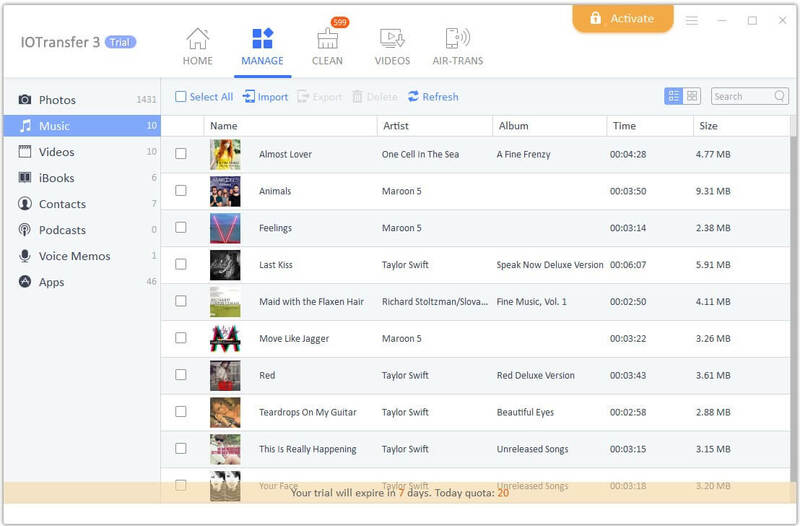 Music backup and sharing – IOTransfer allows you to transfer and sync music files along additional information such as artwork, album cover and artist between your iPhone, iPad, iPod, iTunes and your PC easily and faster with a simple click. It also allows transfer of any music format supported by iOS, such as mp3, wav, and aac. 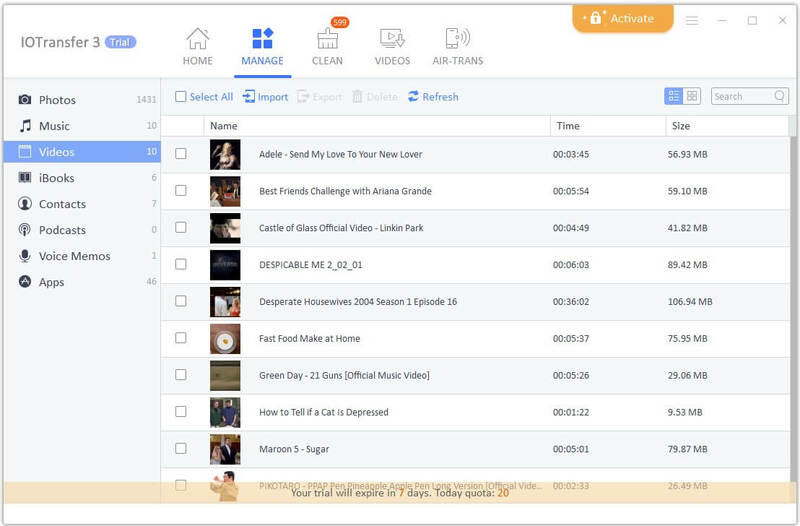 YouTube Video downloader – The inbuilt YouTube Video Downloader allows you to download your favorite videos from more than 30 sites including YouTube, Vimeo, Dailymotion, and Twitch. With nearly no quality loss, you can save the videos on your PC for offline watching and directly transfer them to your iOS devices. 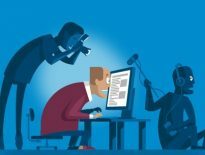 Unlike its online counterparts like ClipConverter and VideoGrabby, IOTransfer 3 won’t bother you by providing annoying pop-up ads and giving constant server crash. The download speed can be quick enough once your network condition is not too bad. 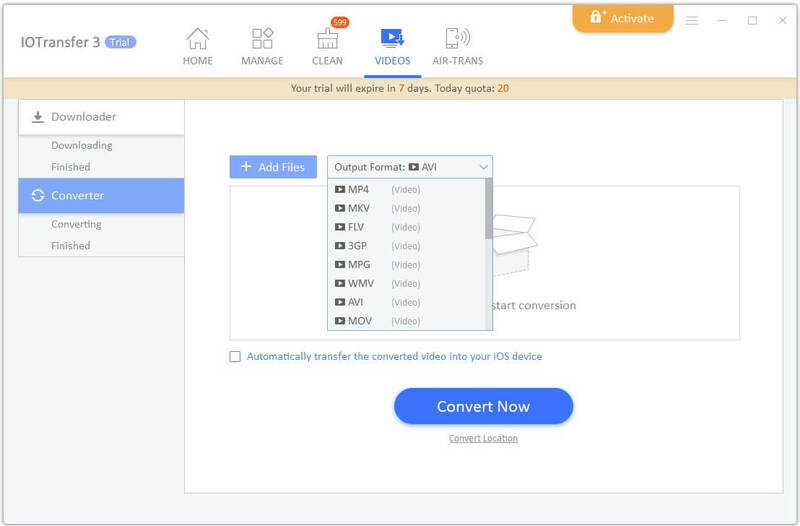 Video converter – This feature allows you to convert videos to another format such as MP4, MP3, AVI, MKV, MOV, FLV, WMV, etc without suffering any quality loss. 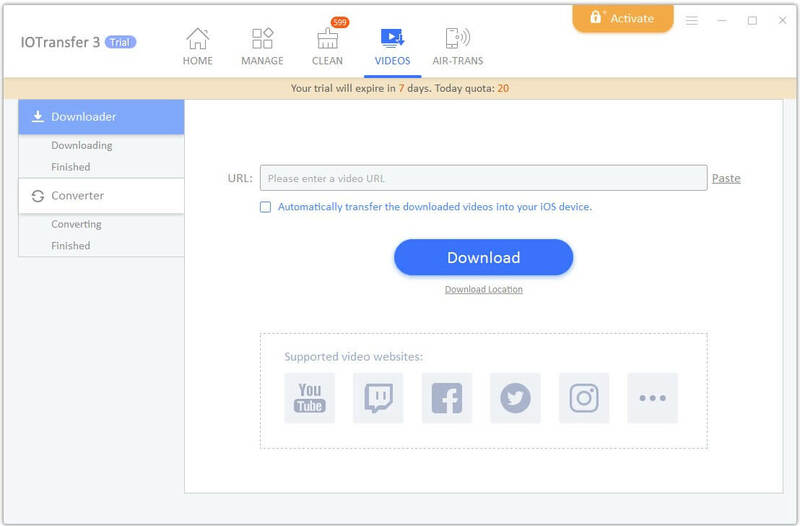 If you would like to learn more about how to convert videos most conveniently, simply go to the official site of IOTransfer and click on “Feature”. 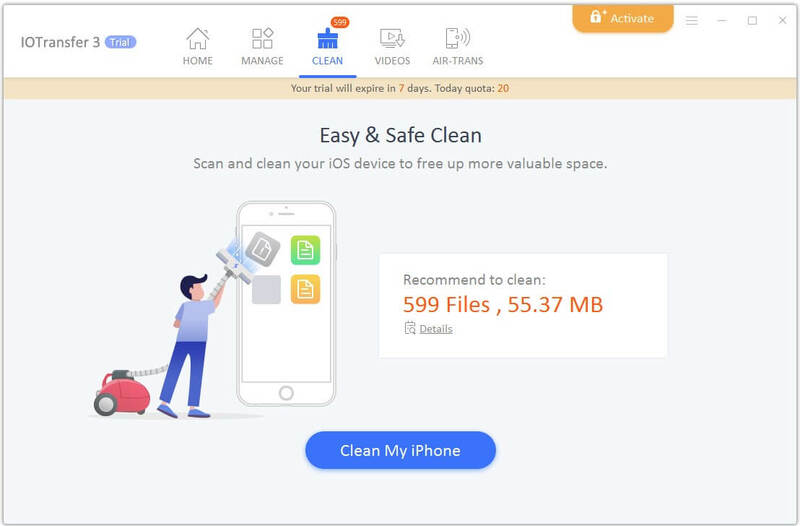 iOS cleaner – If you are complaining your iOS devices get slow down after using them for long, there is a simple one-click method to keep your iPhone running in the best state as it can by removing extra cache files and junk. Before the cleaning process gets started, IOTransfer 3 will calculate how much it will clear. 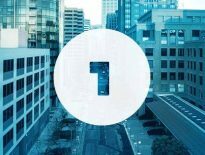 Contact manager – This feature makes you able to transfer/back up your iOS contacts across your devices and computer. You can also edit them directly on PC. 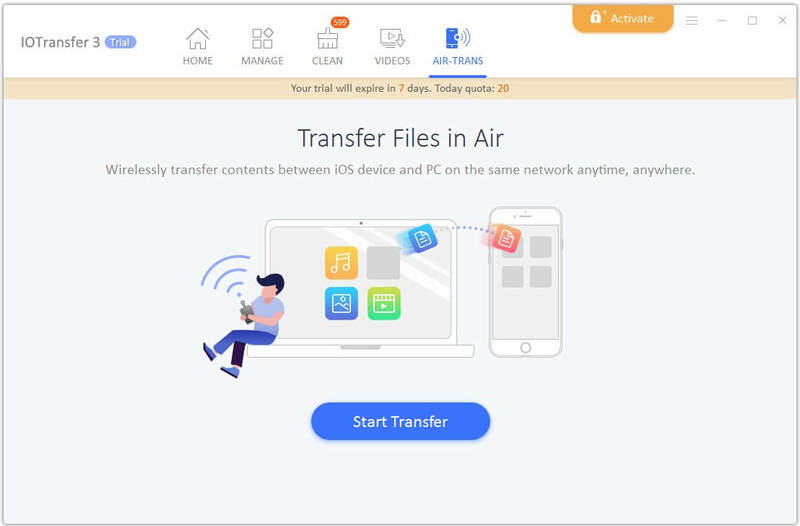 AirTrans – Transfer file over Wi-Fi- This feature allows the user to wirelessly transfer photos, videos, music and document files from iOS devices to PC without USB Cable and iTunes. The transfer speed won’t be too slow if your local Wi-Fi signal is not too bad. IOTransfer3 is a premium software. It offers a single plan for $39.99 for a year per PC. 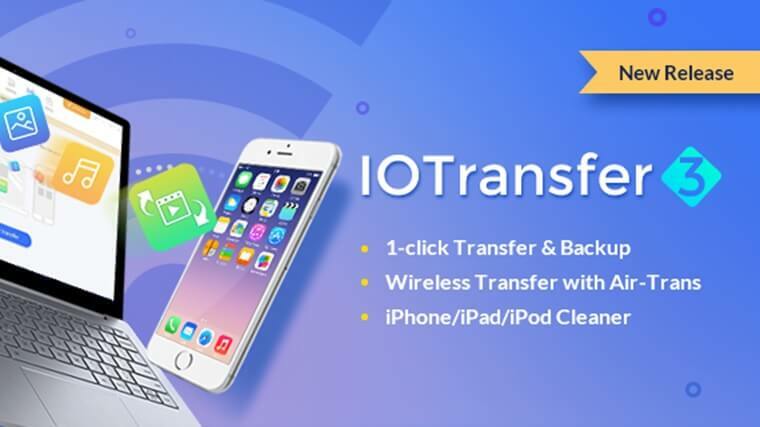 IOTransfer 3 must be the most convenient software for iOS data transfer in the market if you own a set of iPhone or iPad. Without concerns about data loss and slow speed, you can transfer any iOS files from videos, photos, music to PDF and Podcast. What are you waiting for? Come and have a free try now!